"It seems his (Prime Minister Narendra Damodardas Modi's) early focus on asserting his party's style of governance at the cost of allies has now somewhat changed, there is clear evidence of the BJP reaching out to regional parties in the anticipation that the results in this general election will be more competitive than in 2014," says former Biju Janata Dal MP Baijayant 'Jay' Panda who left the BJD last year. 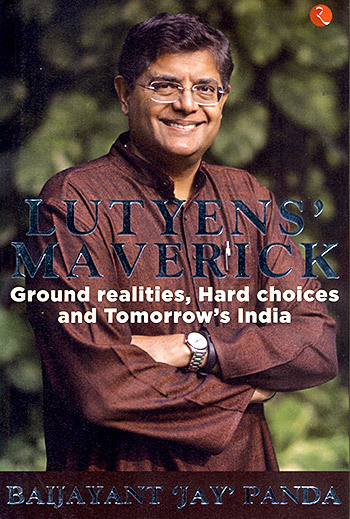 Panda, who resigned his seat in Parliament after 18 years, has just published a book Lutyen's Maverick. "Rahul Gandhi is giving the impression of an aggressive Opposition leader who is setting the agenda and political narrative," Panda tells Rediff.com's Archana Masih in the concluding segment of an e-mail interview. Naveen Patnaik is a seasoned politician. What are his chances of beating voter fatigue and winning another election? Naveen's advantage lies in successfully playing the Congress and BJP against each other to prevent either from truly taking the fight to the BJD and it continues till today. This could be the BJD's lifeline to survival. The Congress has brought down itself to third position by not opposing the BJD with the apprehension of bringing the BJP's revival in the state. Now after coming to the second position, the BJP is committing the same mistake as the Congress. While the BJP had been on an upward trajectory, its recent track record of going soft on the BJD is demoralising its rank and file in the state. How do you foresee your political future? There is speculation that you will launch your own party. Are you? What challenges and risks does launching a new party bring? I am in the final stages of taking a decision after having spent months travelling extensively in Odisha and consulting both the public and political colleagues. My decision will be based on who else is serious about regime change in Odisha to overcome the massive crisis of crime, corruption and joblessness that it faces. While many colleagues and members of the public have been urging me to form a new regional party to fill the vacuum that is gradually being created in the state, I acknowledge that it is an extremely difficult task. Already over the past year, my supporters, relatives and I myself have been subjected to all kinds of harassment including misuse of government authority and physical assault. What gains is the BJP likely to make in Odisha after its eastward march in the country? The BJP has been steadily growing in the state and reached its peak two years ago when it had a substantial gain in the statewide Panchayati elections. If it had continued in that natural course there was a good likelihood of it making even more gains and perhaps coming to office in the state and getting a large number of Lok Sabha seats. However, its recent contradictory stands and unwillingness to crack down on crime and corruption has given an impression to many that they are going soft on the BJD with hopes of a post-poll alliance. If that is indeed true, then it would cost them since there is 19 years of anti-incumbency in the state against the current regime and a great deal of public anger over the massive crime and corruption. How has the Congress win in the December assembly elections bolstered Rahul Gandhi's ability to take on Mr Modi in the general election? Clearly, this election results have come as a shot in the arm to the Congress party. A year ago they were not seen as serious contenders, but that impression has gradually changed. Rahul Gandhi must be given credit for his sheer perseverance despite several years of setbacks. The new admission of the Congress party has been setting the political narrative for some months now; however, what extent it will lead to electoral gains will depend on how the public mood chips up in the next four months. Has Mr Gandhi finally proved himself to be a viable counter to Mr Modi? Yes certainly, he has improved in recent months and is now giving the impression of an aggressive Opposition leader who is setting the agenda and political narrative. But it would be foolish to write off Prime Minister Modi who is the most gifted political communicator India has seen in a generation. How effective and powerful will the Mahagatbandhan be in countering the BJP? It will certainly have an impact and change the electoral landscape. In the Indian context it is not easy for rival parties to come together, especially pre-elections. Having pulled it off, they should be taken seriously. 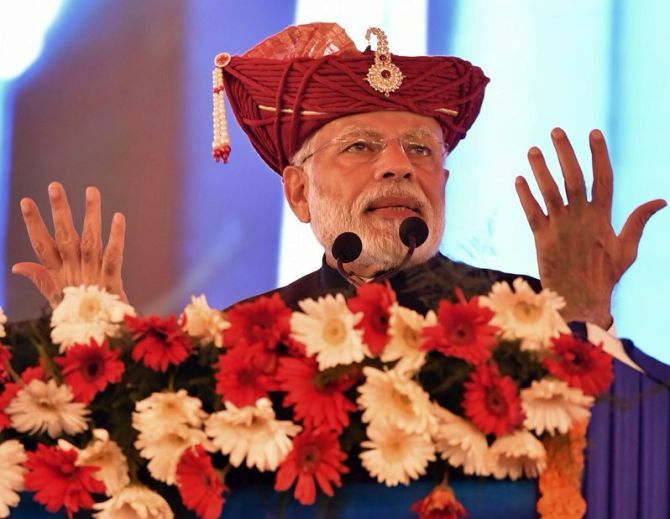 What transformation have you seen in Mr Modi as he faces his second general election? It seems his early focus on asserting his party's style of governance at the cost of allies has now somewhat changed. There is clear evidence of the BJP reaching out to regional parties in the anticipation that the results in this general election will be more competitive than in 2014. While this may be useful in the larger national context, I believe in Odisha this will backfire because of the two decades of anti-incumbency against the BJD, especially because the present fourth term of Naveen Patnaik has seen a very sharp rise in crime, corruption and joblessness. You write in your book that if a million Indian citizens can give up subsidised LPG cooking gas, then surely MPs can also give up subsidised food at the Parliament canteen -- why is it so difficult for MPs to give up these such unrequired perks? Why is it so difficult to do away with VIP culture? Subsidies should only be targeted at those who are not able to afford certain food/item. As I wrote in the book, I personally gave up my gas subsidy some years ago. Over the years, I have also been advocating the dismantling of the well-entrenched VVIP culture in India, ranging from topics relating to red light beacons, security frisking, toll collection on highways etc. There have been certain changes for instance, the red light culture has seen reduction, but we still have a long way to go. It is not difficult to do away with VIP culture; it is just that over decades of a scarcity mentality, our culture has got used to the idea that people in positions of power need to have special access to services since the basics eligible to all citizens is inadequate. This mindset is gradually changing with economic development and the growth of the middle class and I am optimistic that it will impel all of us to change for the better. Passing of the bill for 10% reservation for economically weaker upper caste shows that far from ending reservation, governments in fact just want to use reservation to attract another block of voters. How do you view the quick passage of this bill and its implications? While on the one hand you are right that this "is far from ending reservations," but on the other hand this move also represents a pushback from conventional acceptance of what reservations is all about. It will push the debate on the fundamentals of this issue, including whether those from traditionally discriminated classes need the aid of reservations beyond the first generation, and also the issue of equity for those who may come from classes which did not face discrimination in the past, but today are nevertheless handicapped in access to education and thus jobs because of poverty. In any event, this latest move will surely be taken up in the Supreme Court and its constitutionality will be tested.